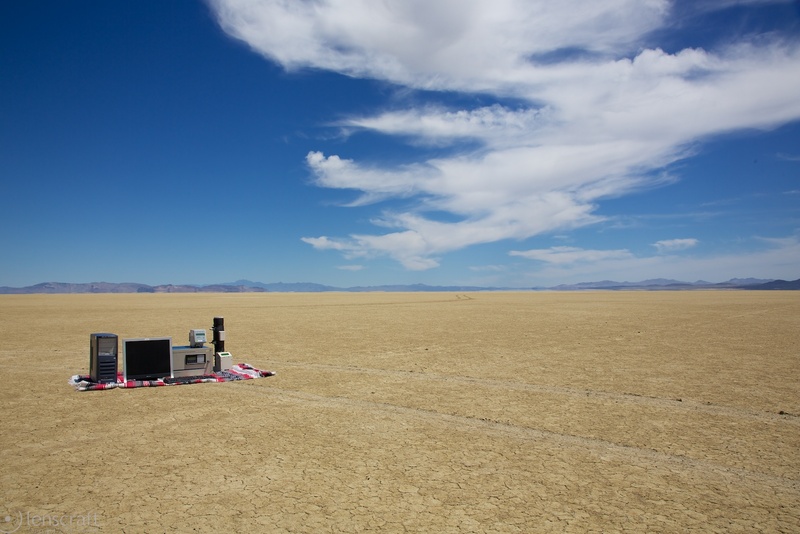 Gerlach without Burning Man is a bespoke surreal performance piece, an dance of endurance between man and environment. 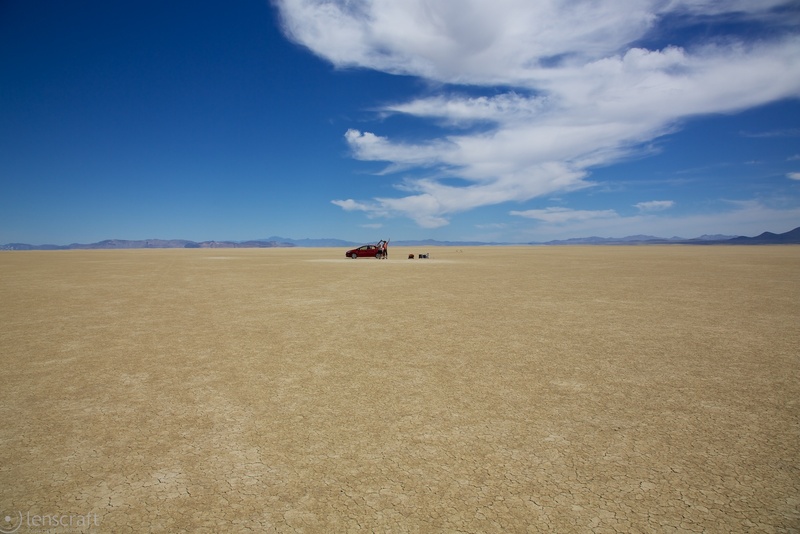 Missing the crowds & rules of Burning Man, Gerlach is still a remote and desolate outpost filled with the sorts of people who you would expect to find in a remote and desolate outpost, or perhaps in San Francisco. 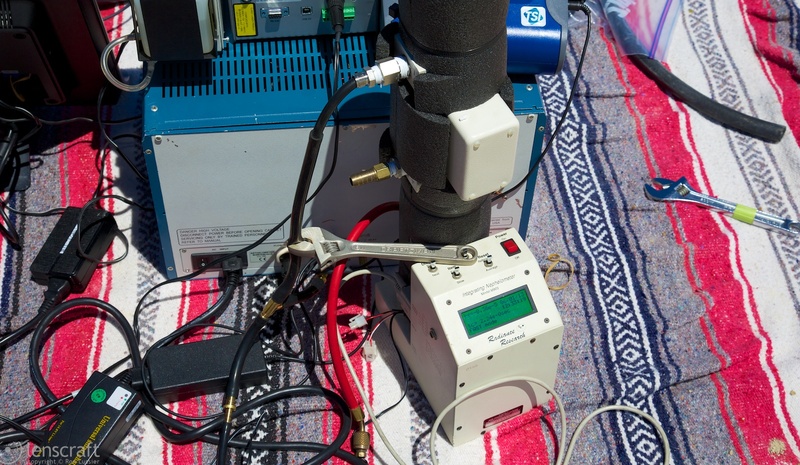 In preparation for this year’s Particle Camp project, our head scientist Dr. Lunden needs baseline measurements of the ‘typical’ air quality of the Black Rock Desert. This means a road trip, hauling a carload of high-tech measuring instruments out to the desert for a day’s worth of science. The lake is pollocked white with massive numbers of seagulls and pelicans. 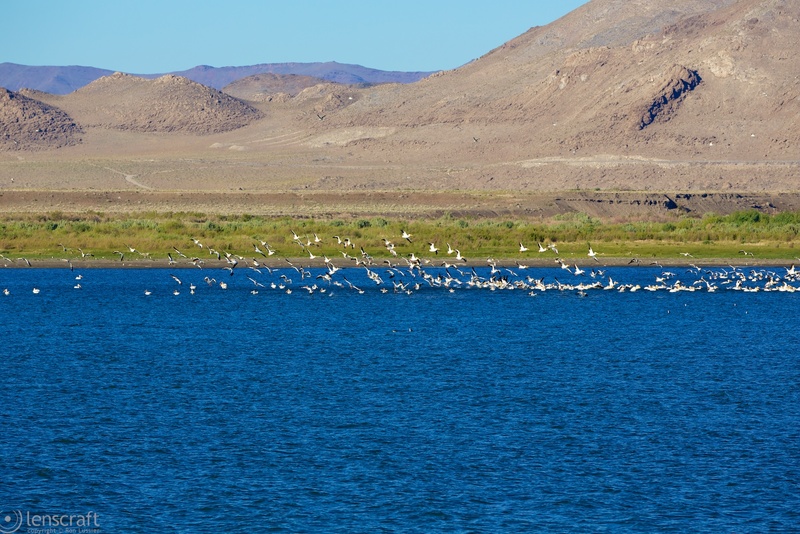 They slowly drift with the wind across the lake surface, and then the leading edge of the flock flies into the air and relocates back to where they began, with the relocation rippling backwards across the group. 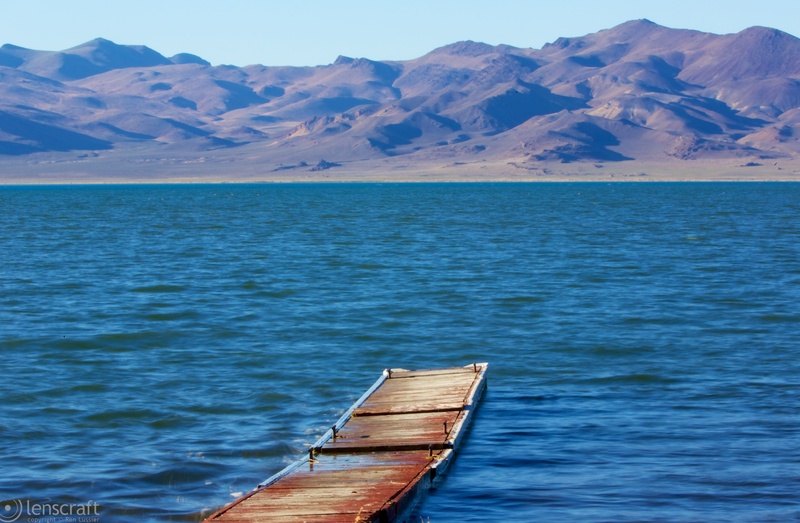 The fluttering white cloud continiously ripples across the deep blue lake, surprising against the rugged desert landscape. Heading north we finally reach Gerlach at 8pm, just as the sun is setting behind the Sierra to our west. 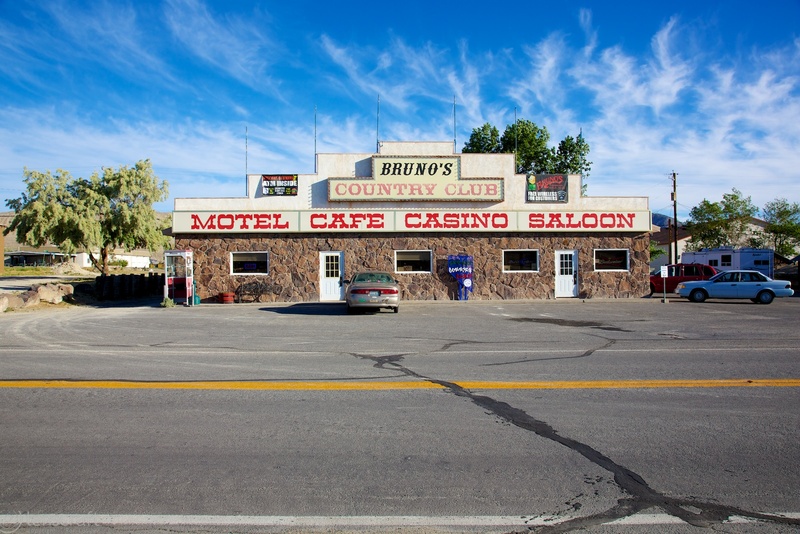 We stay at Bruno’s Country Club, a combined name for the town’s only restaurant & motel, and one of the town’s three bars. 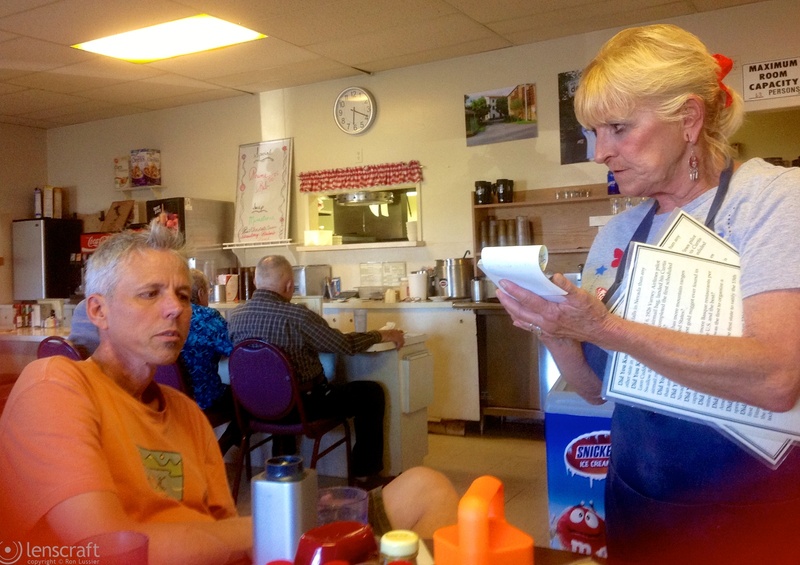 We ask about food and are told that the restaurant has closed, but they might be able to make us a few sandwiches. “Yes, please” we say, and a beer or two later the sandwiches arrive, hand-carved turkey and roast beef on rolls with a random bag of chips as a side. Yum. The next day we have our breakfast at Bruno’s, where the restaurant opens at 6am. Chicken-friend steak for Melissa and I, and huevos rancheros for Dan. Good food, which we wash down with tolerable coffee and lots of ice water. We are going out to the playa InfoAn area of flat, dried-up land, esp. 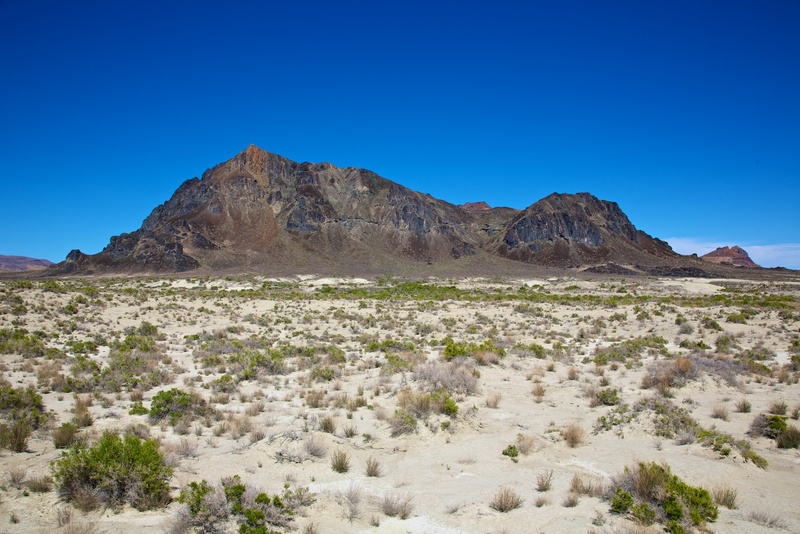 a desert basin from which water evaporates quickly., and it is already getting warm. 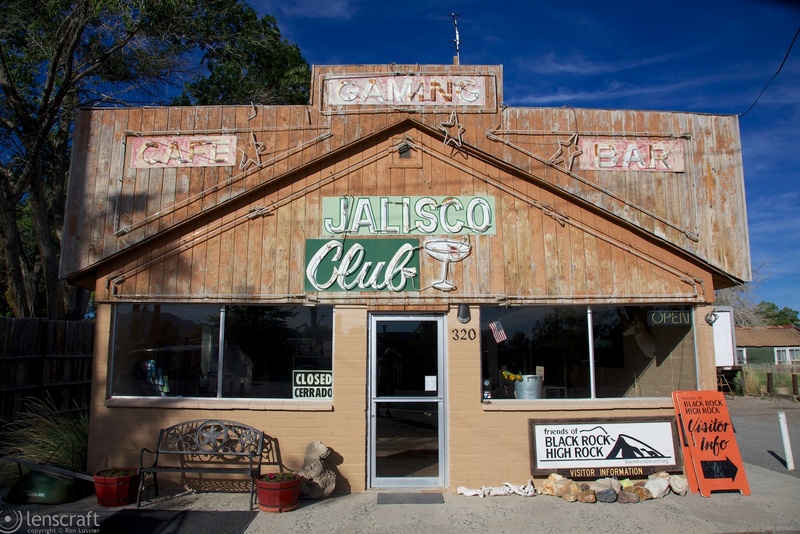 We stop at the Friends of Black Rock headquarters in the old Jalisco Club. There we meet Karen, a rugged desert woman, beautiful and strong and very, very knowledgeable about all-things-Black-Rock. We ask her advice about measuring air quality, and hot springs, and how to get out to the playa, and she quickly overloads us with information. While we’re talking, Will Roger stops by. He’s one of the founders of Burning Man, and he’s in Gerlach working on this year’s city build. 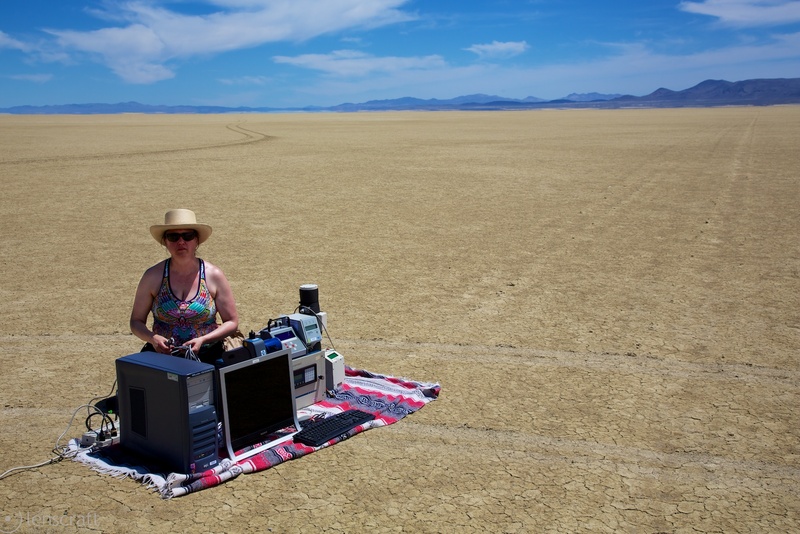 We talk about our project, and Will wobbles back and forth between being defensive about Burning Man’s eco-friendliness, and saying our project sounds fascinating. We finally head out, driving north of Gerlach to the 8-mile entrance to the playa. This is the same entrance I’ve used 5 times before to visit Black Rock City, a gravel road from the pavement across the sandy sagebrush to the hard playa floor. Once you hit the playa, you can head any way you want. I point the Prius north. We drive and drive and drive, making our own road in the cracked surface of the playa. We’re heading directly for Black Rock Point, a small black mountain at the north end of the playa. Though it’s clearly visible, Black Rock is 20 miles away. You can drive a long time and that damned rock doesn’t get any closer. Eventually at a point that is not perceptibly different from any other point on the playa, Dr. Lunden says “Stop here”, and I do. 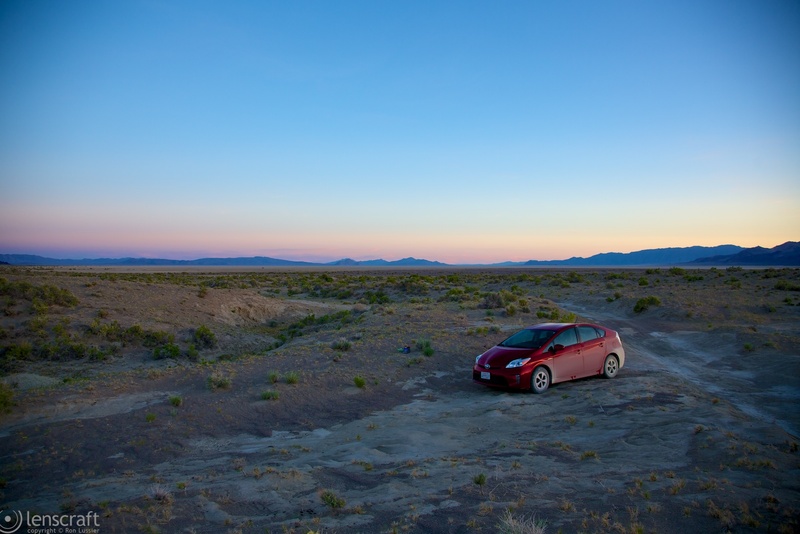 Our Prius glides to a halt, and after waiting a moment for the dust cloud we raised to settle, we leave our shuttlecraft and step out onto the alien landscape of the playa. We haul out the generator and seven different scientific instruments, and Dr. Lunden begins hooking them up to one another with an elaborate spider web of serial cables, power cords, clamps, and a bit of hose we acquired from the Gerlach service station. Note: If you zoom in the photo above by clicking on it, you might be able to see Black Rock on the horizon about halfway between the car and the left side of the photo. When everything is connected, we fire up the generator and flip on the power. …And all of the circuit breakers on the generator blow. It turns out that the problem is the largest instrument, a rack-mount aethalometer for measuring black carbon particles in the air. (In the photo directly above, it’s the large blue box. Not only has it completely died, but it’s also causing the generator’s circuit breakers to fire. When this instrument is removed from the circuit, the remaining instruments continue to work. For a moment. Then the computer monitor dies. As we don’t have a backup monitor, this means that we can’t use the computer to record the output from the various instruments. Dr. Lunden sighs again. Then she points out that most of the instruments are still recording to their internal storage. They sigh and chug and click, and we retreat to the shade of the car. After an hour of leaving the instruments to measure the air quality (which is remarkably clean) Dr. Lunden says it’s time to get a dust reading. During Burning Man dust storms blow through camp on a regular basis, but today there is nothing. The sky is blue and there is not a dust storm in sight. We have to manufacture our own, and that involves driving around the instrument cluster at high speed in tight circles, a job that I do with no small amount of relish. Afterwards, Dr. Lunden sends Dan and I off to explore on our own for a little while. (I suspect that she’s just tired of my fidgeting.) We leave her with a gallon of water, and decide to check out Black Rock Point. Pointing the Prius north once more, we speed out across the desert. It’s still a long way, and as we head north the desert floor gets softer, making driving squirrely. 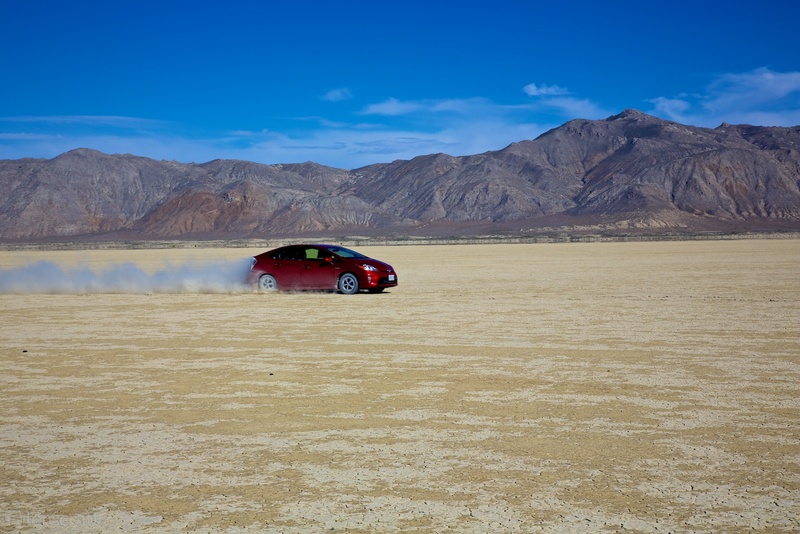 The car wobbles northwards at 40mph, and I wonder whether our headlong rush towards Black Rock will end suddenly when the car sinks into a damp spot on the playa to its axles. But this doesn’t happen, and a twenty minutes later we’re at the edge of the playa, looking at the small mountain known as Black Rock Point. Somewhere between where I’m standing and Black Rock is a hot springs. It was the first source of water for five hundred miles on this stretch of the Oregon Trail, and it’s why this rather small geological formation gives the desert its name, even though most of the surrounding mountains dwarf this one. The emigrants knew that at the base of Black Rock Point was potable water, allowing them to water their oxen and guaranteeing their survival at least another few days. 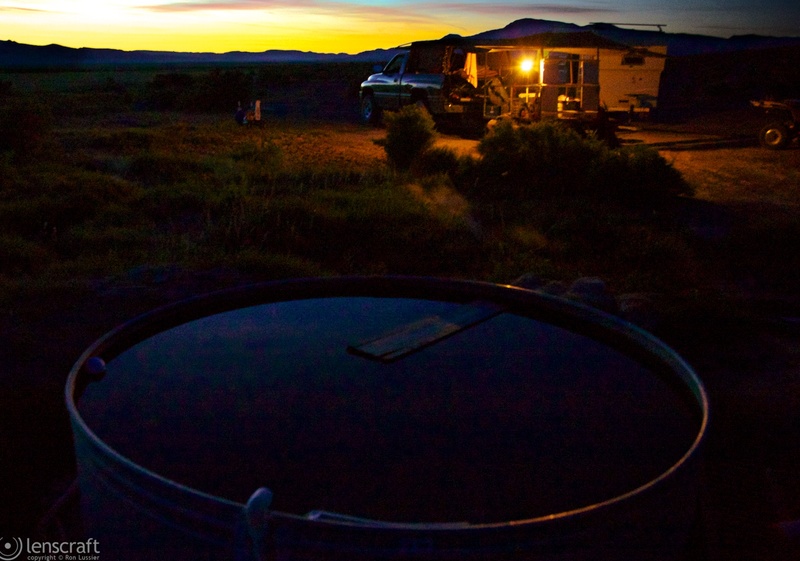 Dan and I would love to take a dip in Black Rock hot springs, but we don’t know where it is, or how far, and we’ve been gone from Melissa for a long time. We turn the car around and head south again. As we drove away from Melissa I was certain that we would be able to find her on the way south. The desert is flat and featureless, and a scientist should show up for miles. But as we drive back southwards, I realize that the desert is also home to mirages that make anything over a mile away look like a sheet of water reflecting the distant mountains and hiding anything that might actually be on the desert floor. For example, a scientist. Luckily Dan had noted the distance that we drove north. (That’s why we call him ‘Safety Dan’.) We drive south the same distance and begin looking around. There is not a scientist in sight, just desert and mirage. We continue driving, and then Dan notices something in the distance directly west of us. It’s a spec, and can be anything, but we decide to investigate. We aim in that direction and as we get closer realize that we have indeed found our misplaced scientist. Zoom in on the photo above and you might be able to see Dr. Lunden rolling her eyes at us. After a delicious dinner of prime rib and strawberry-rhubarb pie, we are feeling fat and sleepy. But I’m not going to bed, not yet. I want to visit a hot spring on this trip, and I’m going to drag my companions along with me. They’re both worried about navigating the playa after dark, but I have a fool’s confidence that it won’t be a problem, and so we head back out onto the playa with the sun just dipping below the western mountains. 26 miles later we pull off the playa onto a rough dirt road that makes its way through the scrub. The road is fairly solid for several miles, but then goes through a narrow slot where the ruts become too deep to safely navigate with a Prius’ ground clearance. We pull the car off the road and start walking. It’s about a mile to the springs, and by the time we get there it’s getting pretty dark. 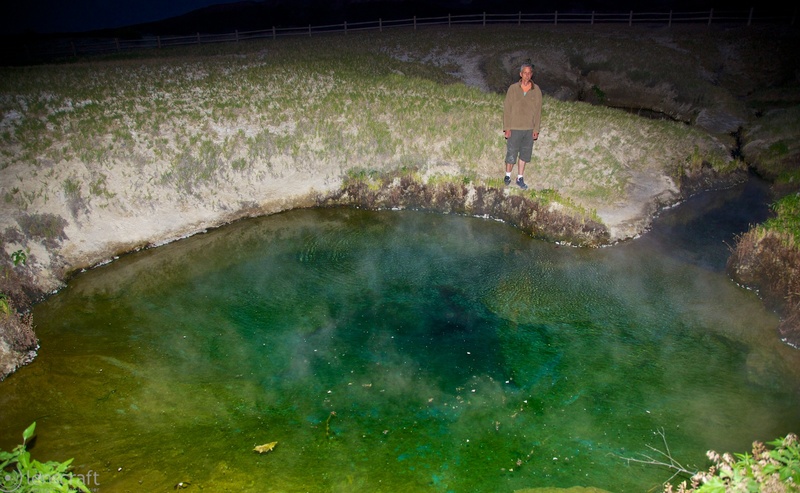 Double Hot Springs is very hot… 180°F at the source. The spring has a reputation for boiling alive dogs that playfully leap into the water (and once, the owner who leapt in to save them.) The two large pools are surrounded by a fence and many warning signs. The water is clear enough to be able to see the vent leading down below the water deep into the earth. Just down the hill from these deadly springs someone has set a ten-foot diameter cattle trough with a slow trickle of water leading into it from the spring. It’s just enough to keep the trough at about 100°F, the perfect soaking temperature. Right next to the tub someone has set up camp. We walk over and announce ourselves, and a scruffy gentleman appears and introduces himself as Clay. He’s pretty surprised to see us, and even more surprised that we walked to the spring. We ask him if he minds if we take a soak. “No, the tub’s just sitting there, begging to be used. Go on.” Well, I say sheepishly, we didn’t actually bring bathing suits. “That’s just fine. 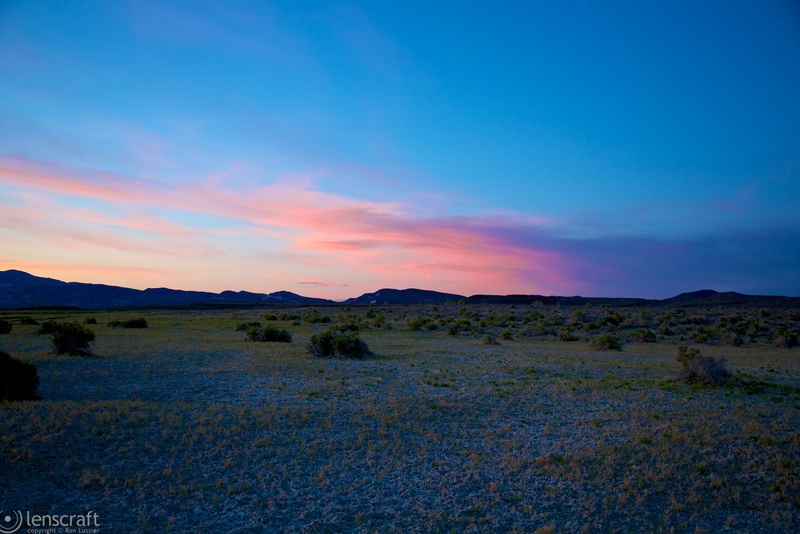 Ain’t nobody around but us desert rats.” And with that, Clay graciously retreats to the far side of his camp, where he and his dogs watch what remains of the sunset. We strip and soak, and Dr. Lunden opens a bottle of ice-cold rosé that we’ve brought with us. We pour it into plastic cups and drink it as we watch the sky change from orange to red to black, and then the bats as they zip overhead. A plank in the tub makes a perfect floating bar, and the stars start to appear. We make it back to the car without being mauled, and spend the next half hour driving in near sensory-deprivation at 60mph across the playa. We stop only once, to stare upwards at the stars through the crystal-clear air. This entry was posted in north america and tagged burning man, nevada, travel. Bookmark the permalink. No only do you write well, but your pictures are beautiful. 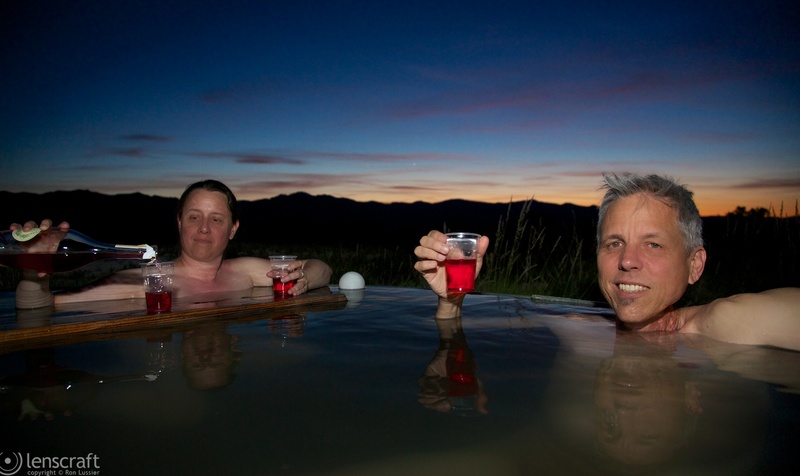 I was a little apprehensive about your leaving Dr. Lunden out in the middle of no where….but I absolutely love the picture of you folks in the tub with the little “bar” floating in front. Oh My God! That is an awesome story. I am a scientist too:) Can I volunteer on your next journey? (I know a bit about air measurements, VOC’s and instruments).I am home all June and August…. Eva, we’re very likely to return in July. Will you be around then? Another fabulous story + photos! A great adventure and great photos.